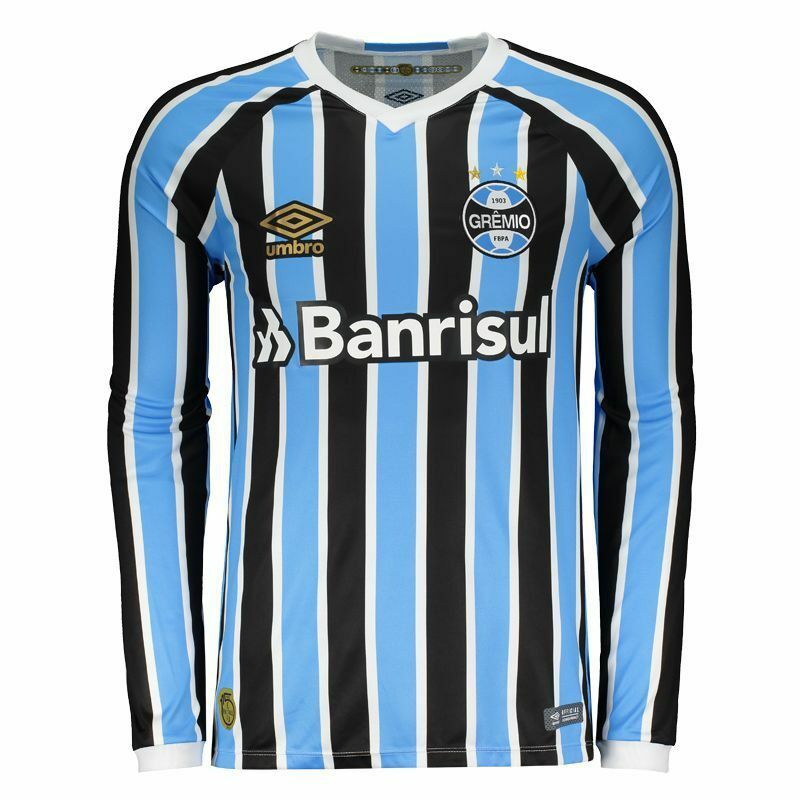 Manufactured by Umbro, Grêmio Home Long Sleeves Jersey for 2018 bears the name and number (3) of the personalized Geromel player. The piece is made of polyester and spandex with small mesh weaves, which help keep the body cool and airy during use. More info. 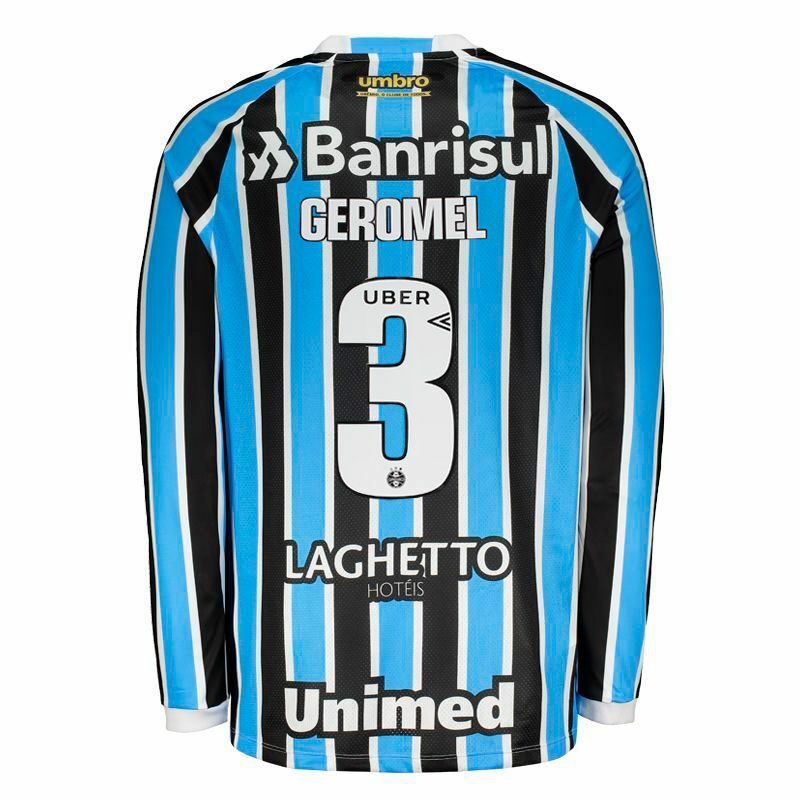 Manufactured by Umbro, Grêmio Home Long Sleeves Jersey for 2018 bears the name and number (3) of the personalized Geromel player. The piece is made of polyester and spandex with small mesh weaves, which help keep the body cool and airy during use. 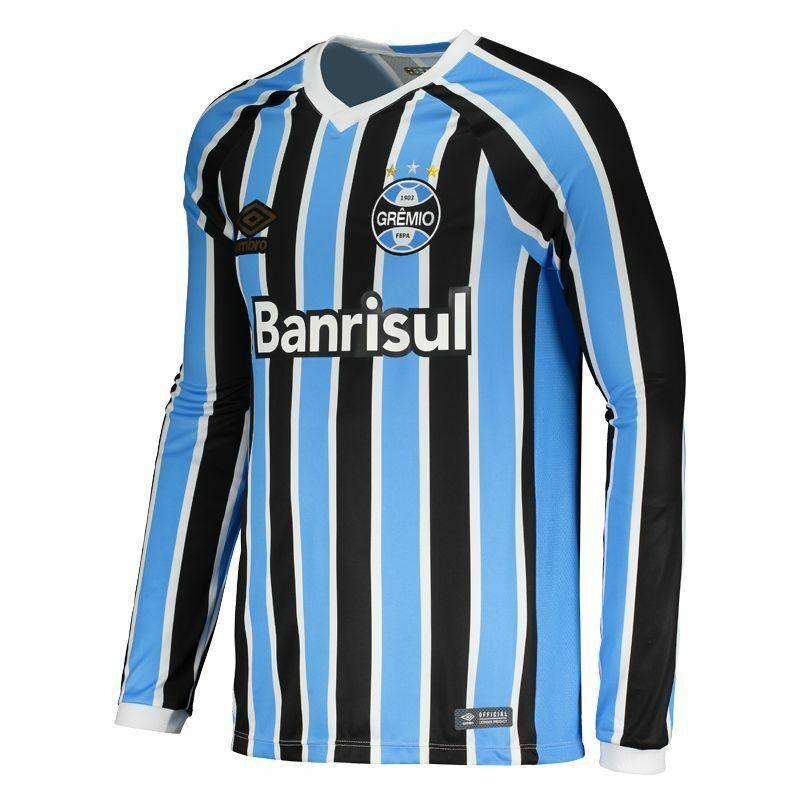 Its design features the traditional vertical stripes in blue and black separated by white lines and in the chest, the badge of the team marks presence, fixed. There is a sponsor logo printed and a stamp is seen next to the bar, in reference to the 115 years of the club, also bearing the first badge of the club styling also the years 1903 and 2018. The collar is V and inside it, another special seal recalls all the badges used by the club in its history. 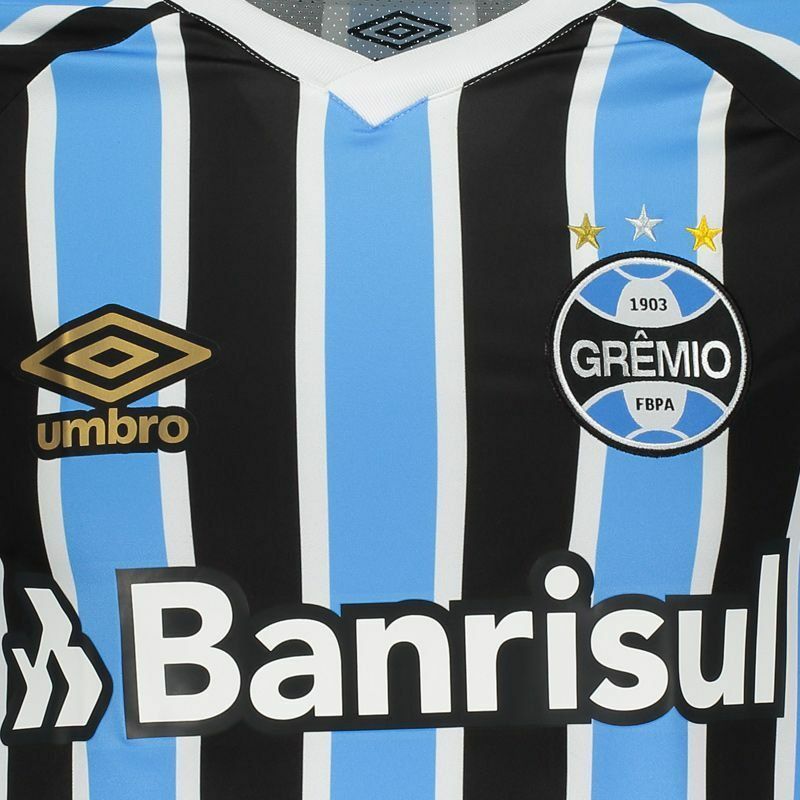 Finally, near the nape, the phrase "Grêmio, the club of all" complements the mantle. Pedro Tonon Geromel is a Brazilian player born in São Paulo. The ace acts as a defender and has as main characteristics, header, marking and disarmament.